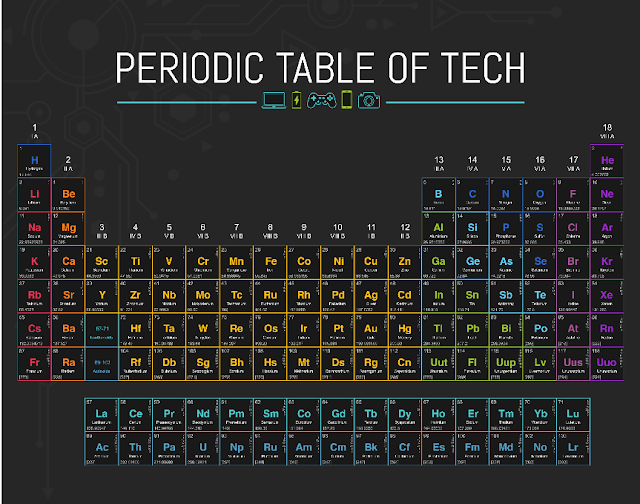 Below is an interesting periodic table created and share by the Beacon.The Periodic Table of Technology is created to help students learn more about science and technology. Each element featured in the table is explained in terms of how it is used in actual life outside of chemistry class. Simply hover over any of the elements to learn more about its ‘role in the tech world and click on the pop up to read more ’ about it. This interactive guide is a supplement to the other learning resources listed on our video page. Click on the image below to access the original Periodic Table of Technology.